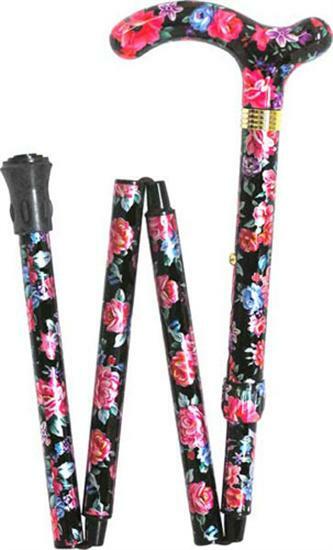 Pink and Black Floral Walking Stick Lightweight. 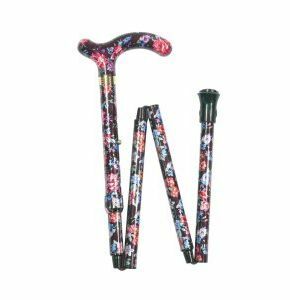 Fitted with a rubber ferrule and smart metal collar, this neat and elegant folding walking stick is strong enough to assist your walking - while its aluminium shaft makes it lightweight enough to take anywhere easily. 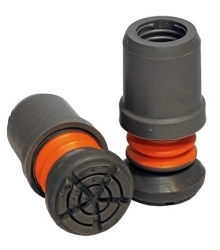 Its shaft folds into four sections that meet with and 'end-to-end' joint - making it easy to collapse when not in use, even by those of us without much wrist strength. Lovely walking stick, very pretty , nice small handle . Very quick delivery . Very pleased.